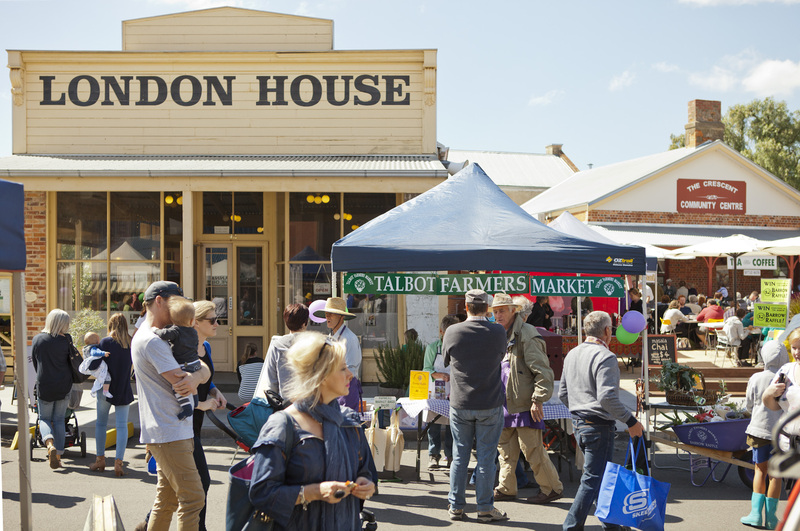 Talbot is home to one of the first and the best farmers markets in Victoria, in fact it was recently voted in the top 10 Australian Farmers Markets by Australian Traveler Magazine, the only Victorian market to make the list. 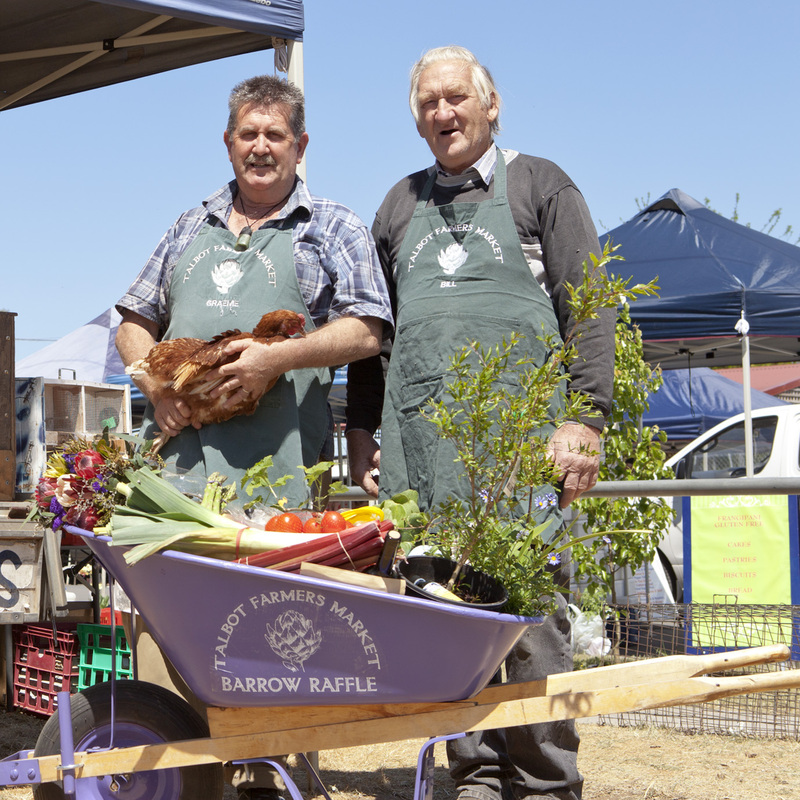 On market day over 80 stallholders set up in Talbot’s heritage precinct. On offer is farm fresh organic fruit and vegetables, honey, wine, pasta, puddings, olives, organic meat, continental cakes, local flaxseed oil, home made cheeses, live produce, plants and more. Set in and around the beautifully restored town hall on Ballaarat Street, the Town Hall Market has stalls for books, plants, soaps, bags, accessories, collectables, tools, toys, socks, scarves and artisan products creatively crafted from timber, cloth, iron and all sorts of found materials. 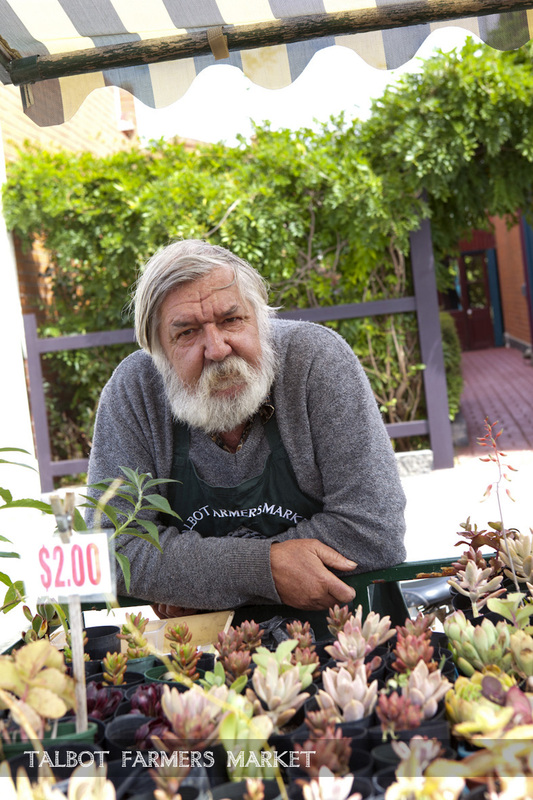 The sausage sizzle is run by a rotation of local charities and there are buskers dotted around the town… Follow a sign down a back lane and you could end up at a local garage sale – it sometimes seems all of Talbot is for sale on market day!